Gun control has been a controversial topic ever since the tragic event in Parkland, Florida on February 14 in which 17 students and faculty members of the Marjory Stoneman Douglas High School were shot and killed. Nineteen year old Nicholas Cruz used an AR-15 assault rifle to gun down his former classmates. Some believe it’s time to enforce stricter gun laws, causing movements such as the “March For Our Lives,” which occurred on Saturday, March 24, with approximately 800,000 people marching to their state houses demanding reform. However, this is only one side of the story; others such as President Donald Trump, backed by the NRA (National Rifle Association), believe the issue is not the presence of too many guns. 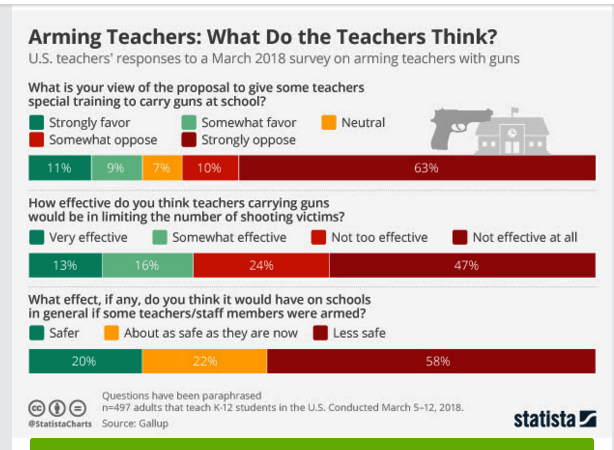 They feel that school staff should instead be licensed to carry firearms inside schools.